I love the simplicity of The Good and the Beautiful Language Arts curriculum. 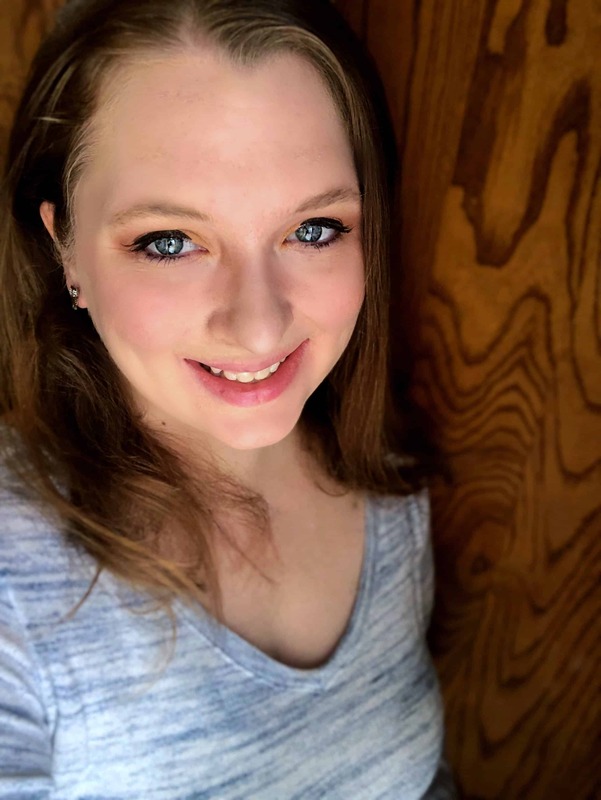 There’s one course book and it includes everything we need for a complete language arts curriculum. Today we are going to talk about spelling. My kids are not huge fans of spelling. 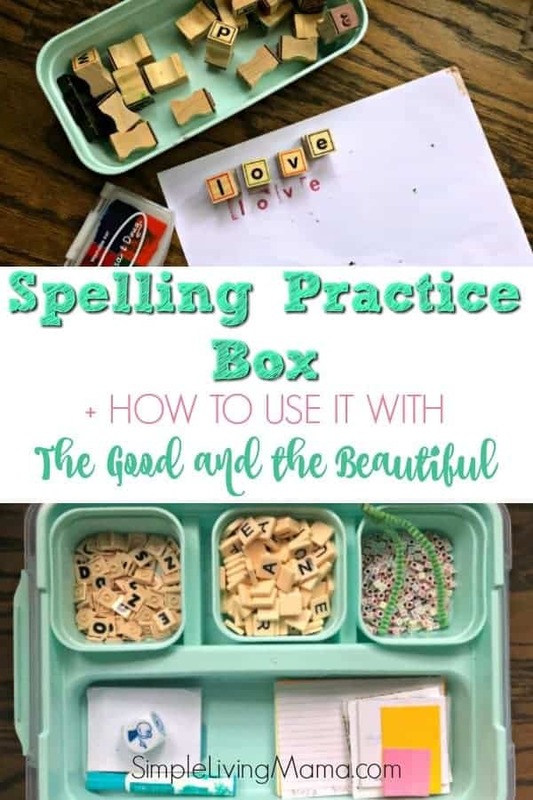 I needed a way to make it more fun, so when I saw another mama show off her spelling practice box for The Good and the Beautiful in a Facebook group, I knew I just had to recreate it for our homeschool! Let’s chat for just a minute about how The Good and the Beautiful does spelling. There are spelling lists in each level and they are broken down into spelling charts. Most of the words on the spelling lists do not follow general spelling rules and they are often misspelled. 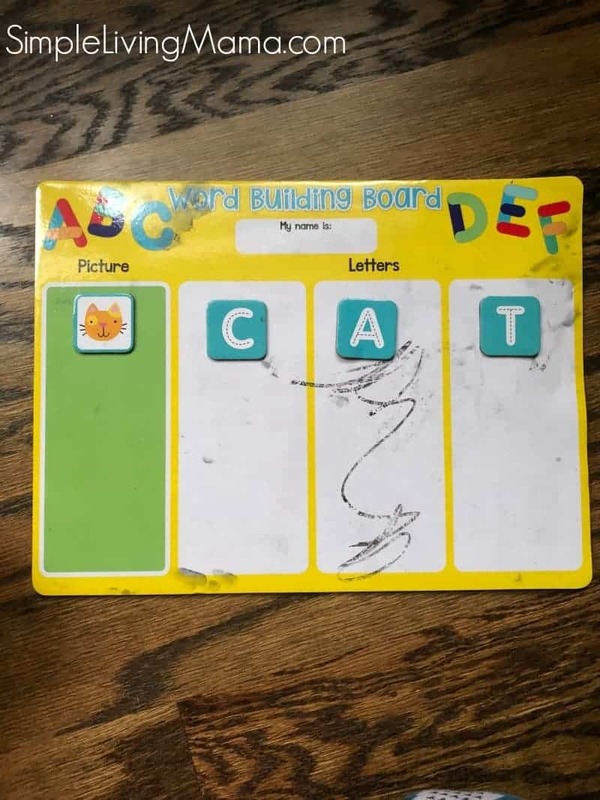 I sit down with my child and begin going down the list of spelling words to determine at least five words that my child doesn’t know how to spell. I write those words on an index card and then we spend the first four days of the week reviewing those words. We do a spelling test on Friday. Whichever words my child still has not mastered get added to the spelling list for the next week. The kids were getting kind of bored with just writing their spelling words. 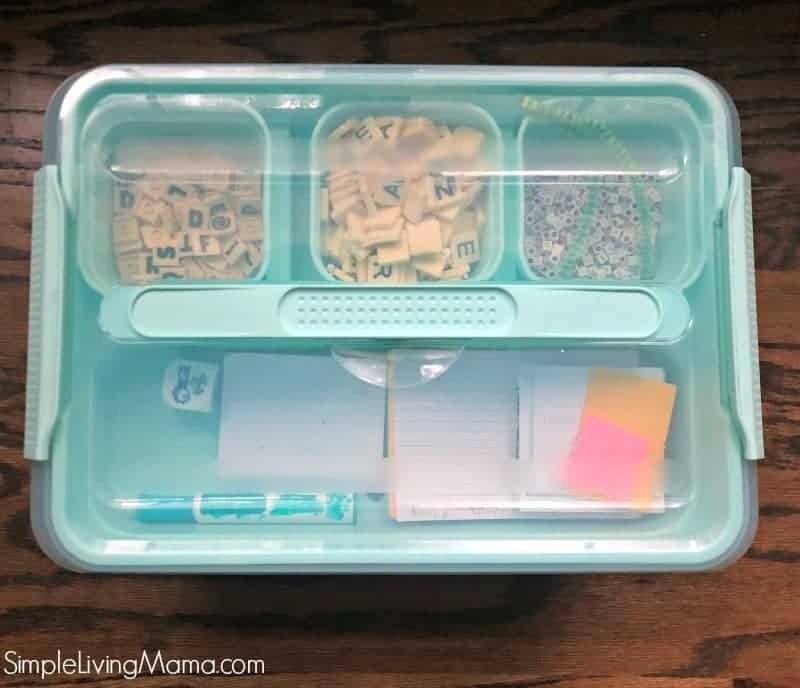 When I noticed in TGTB Facebook group that many moms were creating spelling bins full of fun goodies I just knew I needed to create one, too. 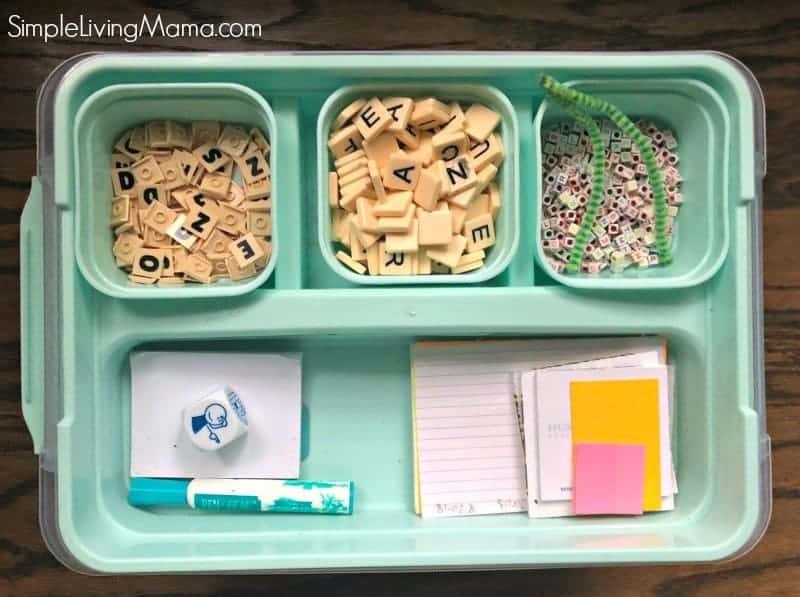 I was particularly inspired by the Spelling Practice Box from Ruffled Nest. First, let’s begin with the bin itself. I purchased two Latchmate Recollections bins from Michaels.com. I bought the turquoise color, though they are both slightly different shades. 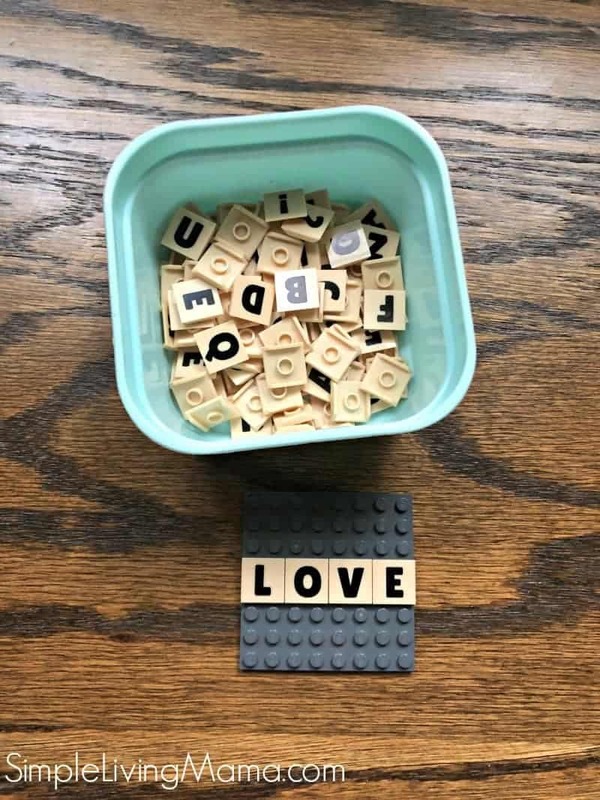 One is my preschool bin, and the other is what I’m using for spelling! These bins are also available on Amazon. I also purchased the divider trays to help make each individual activity more grab and go. Find them at Amazon. To make each spelling list, I use index cards for each child. In the top compartment of the bin I store post it notes, Bananagrams tiles, our ABC beads, LEGO-like bricks, extra index cards, dry erase markers, and our story cube. Inside the bin I keep our dry erase board, Melissa and Doug stamps, play-doh letters, magnetic board, extra lined pages, and our “Read It, Build It, Write It” mat. 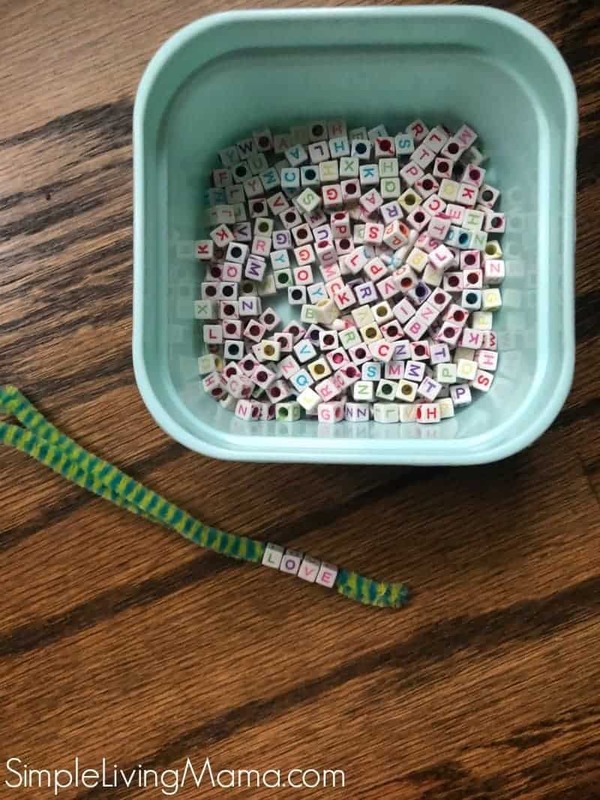 I found some alphabet beads at the Dollar Tree and used a pipe cleaner that we already had for one of the activities. The kids can practice their spelling words by stringing them on the pipe cleaner. 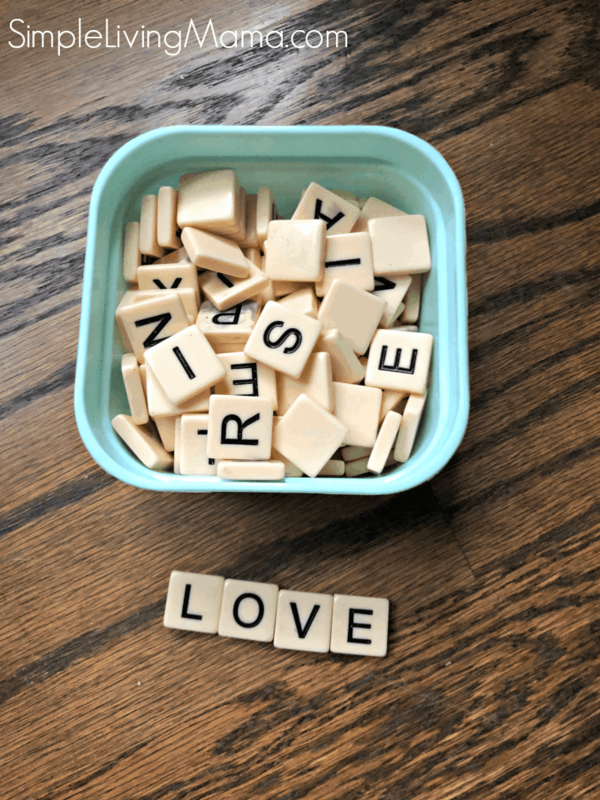 Bananagrams tiles are easy and fun for practicing spelling words, too. My boys love these Lego-like bricks. They are called AlphaBriks and the cheapest place to find them is Walmart. 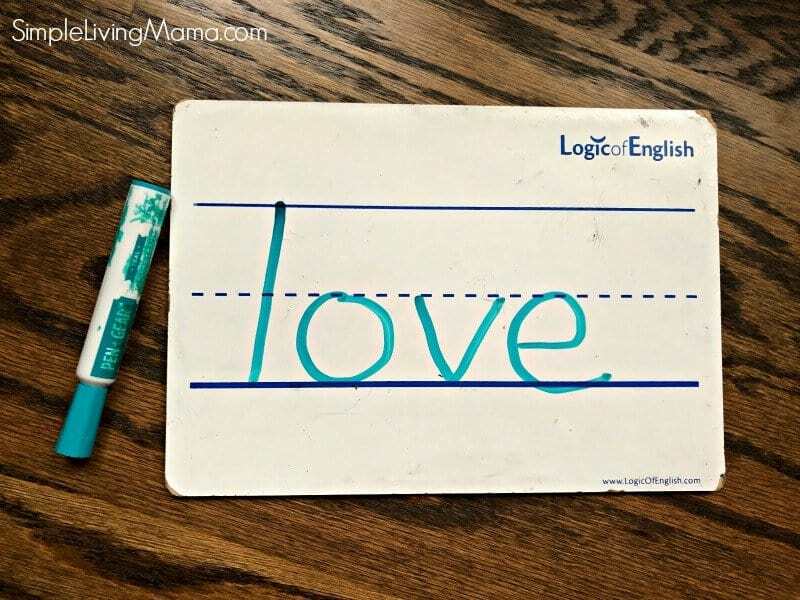 They make practicing spelling words a little more fun! 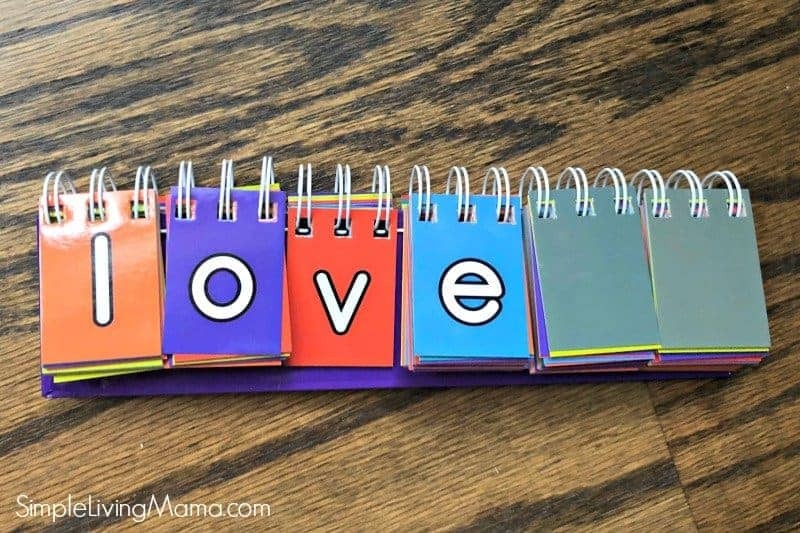 The word building flip book is a super easy way to practice spelling words, too! 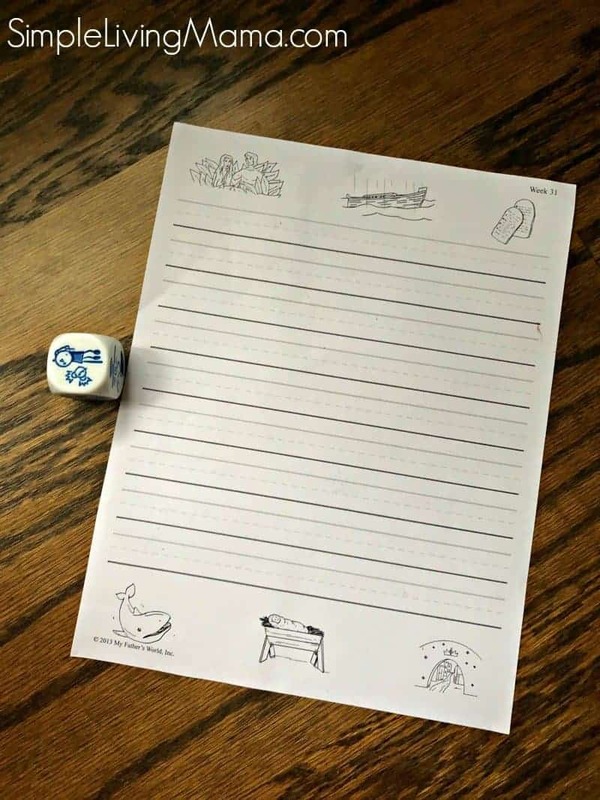 We use the story cube when the kids get stuck when writing sentences with their spelling words. I found this word building board at the Target Dollar Spot. It’s mostly for my kindergartner. My kids love dry erase boards. This is a much loved lined board from Logic of English. This one has smaller lines on the other side. Here’s a similar dry erase board on Amazon. 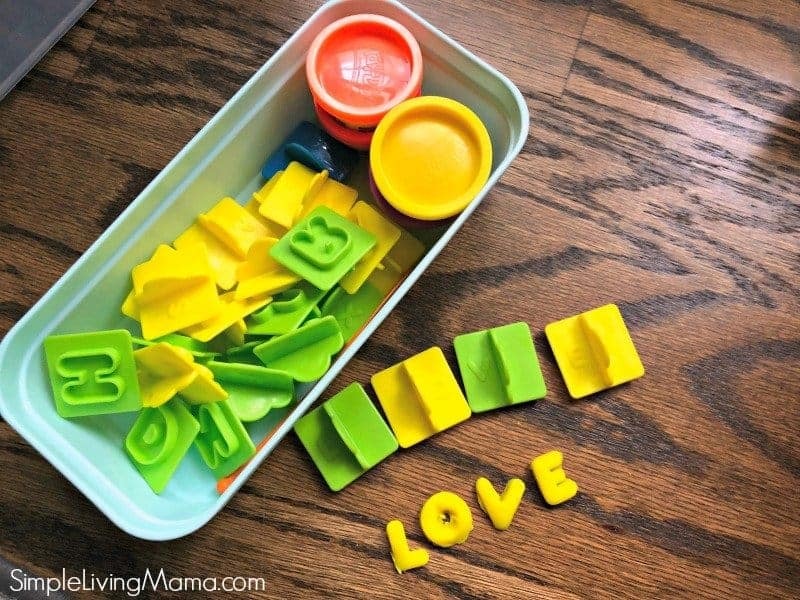 These Play-Doh letter cutters were pretty cheap on Amazon and they are fun to play with, too! 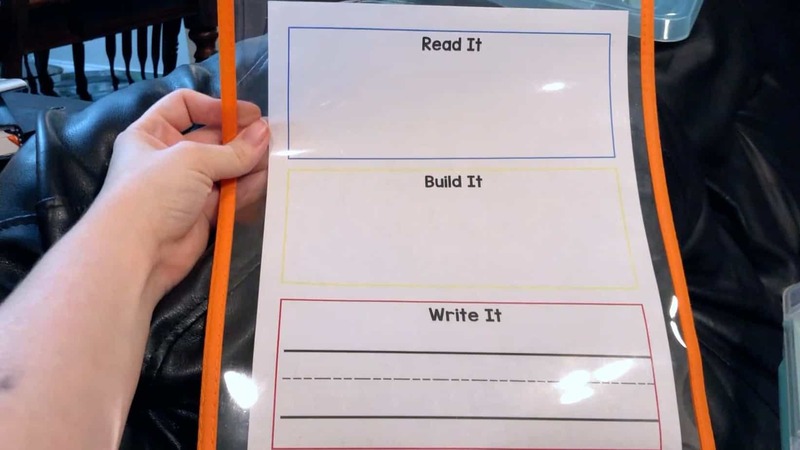 And finally, we have my Read It, Build It, Write It page. I made this one myself. 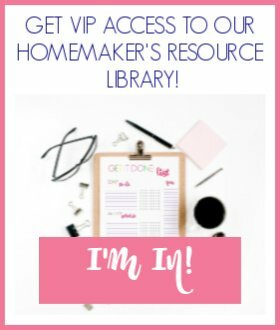 You can snag it for free in my shop. These mats are found all over the Internet. I placed it in a dry erase pouch and it’s perfect for practicing individual words. And that’s our spelling practice box! It makes spelling so much more fun!